Hunting is hard. Flat out. It takes patience, courage, and grit. More often than not you are left with an unfilled tag in your pocket and a long walk back to the truck. So why do it? Why put in so much time, money and effort if percentages do not go in your favor? I know why I do it. I do it because the effort it takes to successfully harvest an animal is unlike any other feeling in life. Because with no risk there can be no reward. It is what makes hunting and harvesting your own meat so special. Being new to hunting, I constantly second guess myself and have doubt about if I am doing the right thing, especially since I never had a mentor to bounce questions off of. It is my weakness. It is the internal battle that I struggle with when hunting. Have you ever had questions about what others would do in certain situations? Maybe you catch yourself not staying in the game mentally. I know I often do. I find myself double guessing a move or a plan of attack when I hunt. Being new to hunting can be frustrating and defeating, so much that it is hard to stay motivated. This blog series is meant to be a way to inspire and motivate you and others when it comes to hunting your dreams, and at the same time making a difference in recruiting new members and building community in the hunting world. Hopefully the advice and insight shared by our guests can help you feel like you are not alone in your struggle against the wild, as well as build confidence in your chase. WBC: What is your name? WBC: Where are you from and where do you currently live? Kyle: I’m originally from Southern Indiana and currently live in Boise, Idaho. WBC: What is your day job? Kyle: I’m a Dietitian. I spend a large part of my day working the inpatient units of a hospital and in a clinic. I also run Valley To Peak Nutrition, a nutrition business aimed at helping the outdoor enthusiast at performing optimally. WBC: Do you have any family or pets? Kyle: I do! I have an incredibly supportive wife. We have no kids, dogs, or cats, but are particularly fond of our 4 chickens. WBC: How and why did you get started into hunting? Kyle: I’m one of those rarities that never grew up hunting and wasn’t taught by a grandpa, dad, or other family member. Living in Indiana, I had buddies who would hunt whitetails all winter, but I’d never done it myself. Moving west and meeting my wife’s family was the first exposure I’d had to hunting. Our first trip back to her home town included butchering a hog, making elk jerky, and having a dinner of elk stroganoff with yeast biscuits by a wood burning stove. From then on, I’ve been hooked. The entire concept of going out and getting your own food fascinates me and is something I want to be a part of. WBC: Did you have a hunting mentor? What did you learn from them and or what did you want or wished to learn from them? Kyle: I didn’t have a hunting mentor, I’ve been so blessed to have so many guys “in my circle” that have invested their knowledge in me, taken me with him, taught me how to set a bow up, sight in a rifle, find good elk country, teach me to glass, etc. My first year out, I had a guy forgo a portion of his season to teach me the basics of elk hunting. I’d say the most valuable lesson I’ve learned from those guys has been to be patient and enjoy your time out- harvest or not. WBC: If you did not have a mentor how did you learn to hunt? Kyle: I was fortunate to have a number of people invest in me. I would also suggest that as much knowledge as they had been willing to pour into me, I recognized the need to invest in myself as well. I would spend time scouring maps, practicing shooting, watching videos on skinning and quartering animals, etc. I couldn’t soak up enough information on the subject. WBC: What has been your favorite hunt? Why? Kyle: Two come to mind, one of my own and one with friends. The first was my first ever elk hunt. I had a limited draw cow tag in Idaho and a friend had agreed to take me out for three days. We didn’t see a single elk that day, but were able to shoot a grouse. That night we sat on top of a ridge and cooked that grouse in sizzling hot bacon grease on my buddie cast iron pan. I remember thinking to myself, “If elk hunting is this much fun without seeing a single animal, I can’t imagine what seeing them or a harvest would feel like!” I was hooked. The second was a bear hunt in central Idaho with two friends. I didn’t have a tag, but it was similar feelings to my elk hunt. I recognized them taking me out had less to do with them just letting me tag along. I could see they were investing in me and letting me jump in on an activity that most people would consider sacred. That meant a lot. WBC: What has been your biggest struggle when it comes to hunting? Kyle: Ironically enough- finding animals. This is actually laughable to me. It’s the type of response that would make folks who don’t hunt ask “why in the world would you go out then?” I go out for the two reasons mentioned above: camaraderie and to simply be out. WBC: Our strengths can also be our weaknesses. What are your weaknesses that can inhibit you on your hunts? Kyle: The guy between the ears and discouragement. It’s easy to have an ebb and flow of enjoyment and discouragement in hunting. If I’m not careful, a single negative thought can spiral right down to me packing up the truck and heading for home. WBC: What piece of gear can you not hunt without? Kyle: Beyond the obvious of a weapon, I’d say my stove and camp pillow. A lot of guys can last 3-4 days in the mountains eating nothing but dry ramen, bars, and nuts. Not me. I want a cup of coffee and a hot meal at the end of every evening. Those two things are complete morale game changers for me. As for the pillow, I’d say there’s been nothing to single handedly change the quality of comfort in the backcountry like that pillow. WBC: What is your favorite place to hunt and or species? Kyle: The mountains of central Idaho and archery elk. WBC: What is one piece of advice you would have liked to have or know when you first started hunting? Kyle: It’s ok to go hunting and come home empty handed. One of the best pieces of advice WAS the best piece of advice I first got when I began hunting. It came from my father-in-law and he told me “you’re going to be absolutely miserable and hate hunting if you don’t find a way to just enjoy being out….coming home with something or not”. He’s absolutely right and thankfully I love every part about hunting. Don’t get me wrong, a harvest would be top-shelf type-of-fun, but I still enjoy going even when coming home empty handed. WBC: What is your social media account handles or website? We want to thank Kyle for sharing his insight and thoughts. If you want to know more about Kyle and what he does, be sure to check out his Instagram & Facebook accounts, along with his website at www.v2pnutrition.com. Kyle is an amazing person and was kind enough to join forces with us on an article last summer (Nutrition in the backcountry – How to eat for success). 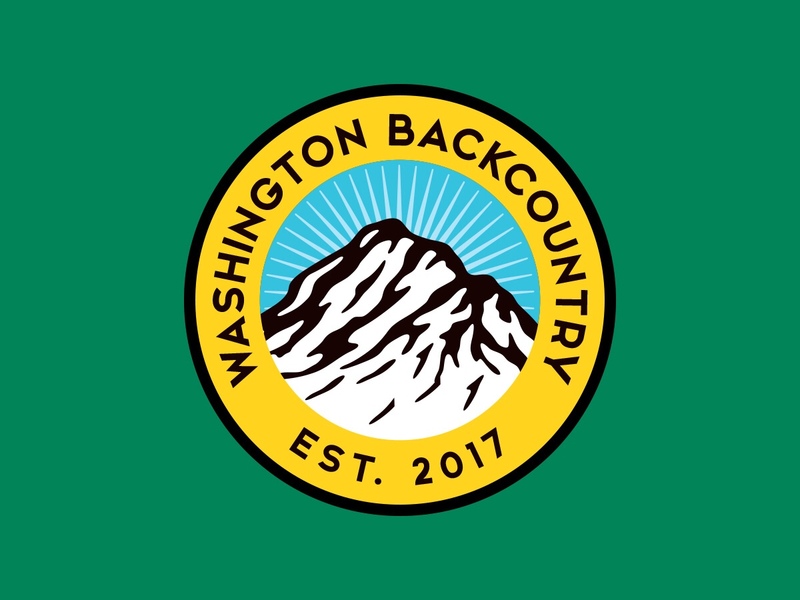 If you are into listening to podcasts, be sure to check out some of the episodes Kyle has been featured on by clicking a link (Backcountry Rookies Podcast – Hunt Backcountry Podcast – By Land Podcast). If you enjoyed reading the blog or can think of anyone that could benefit from the insight given, please share it with others. It is “OUR” job to continue the growth of the hunting and outdoor community. Be sure to invite someone to start hunting with you, you never know what type of impact it may have for them and their life. Remember, mentorship is conservation. If you would like to be featured in the blog series or know someone who should be, let us know by emailing us or direct message on Instagram.